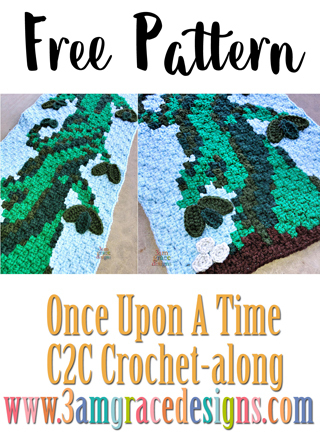 We’re excited for Week 14 of our Once Upon A Time C2C CAL free crochet pattern! 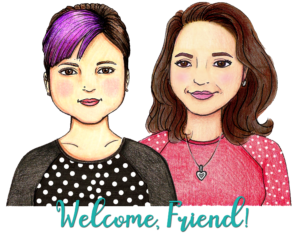 We’ve worked hard to design a project you will love! 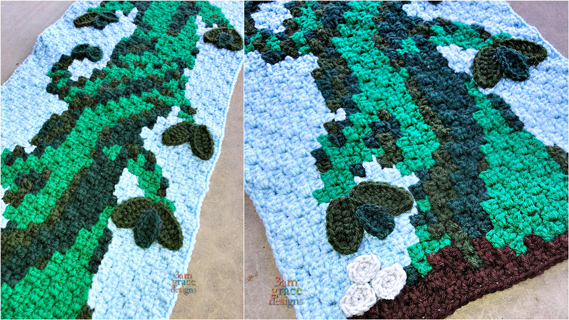 This panel is one piece to our Once Upon A Time C2C crochet pattern & tutorial for creating a show inspired graphgan blanket. 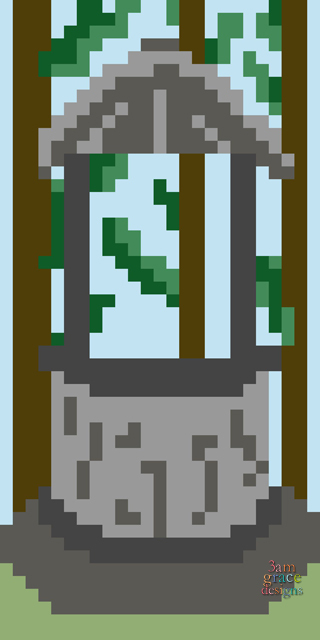 This week we have the Beanstalk and a Bonus pattern for the Wishing Well. The Beanstalk includes applique patterns for the Leaves & Beans. Make 4 Dark Olive and 3 Forest large leaves. SC, HDC, DC4, HDC, SC, Ch1 and join to the top of the starting SC. Make 4 Forest and 3 Dark Olive small leaves. SC, HDC, DC, HDC, SC, Ch1 and join to the top of the starting SC. Make 3 with Linen yarn. 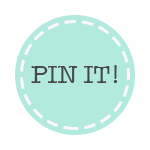 Download the Beanstalk written instructions. Download the Wishing Well chart. Download the Wishing Well written instructions.